Alhamdulillah, my recent Doctor’s review didn’t make me wait for a long time. I had my ultrasound first. I managed to be the second one to enter the room. The kind technician kindly printed for me Baby’s scan as Husband was not there to take the video. Alhamdulillah everything is fine except ONE! Back to the ONE thing that became my huge concern since that day. Baby’s position. 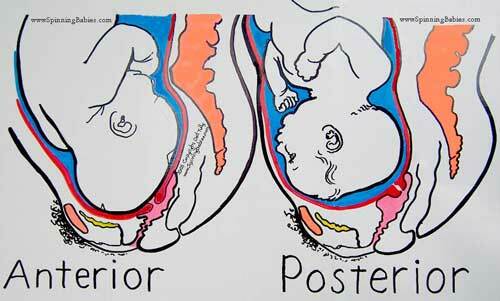 It is not breech but Occiput Posterior (OP) aka ‘sunny side up’ Baby. From my research and reading, most of the time Baby will turn himself to the right position when in labour but of course, it will take quite a long time (or may be not the case). The technician, and mom (and her friends) told me that it’s going to be a long and painful labour for me. Truth to be told, that scares me as I’m expecting to have a short and painful labour. Dugaan ya Allah! … *speechless* I am really hoping and praying that Baby will turn to the right position before labour to ease my labour pain. I know that I have not experience any backaches yet (really grateful for the smooth sailing journey so far) and I don’t think I want to experience them.